Animal Wildlife | Avocet | The avocet is a type of wading bird that is found across mudflats in the world's warmer climates. There are four different species of avocet which are the Pied avocet, the American avocet, the Red-necked avocet and the Andean avocet. 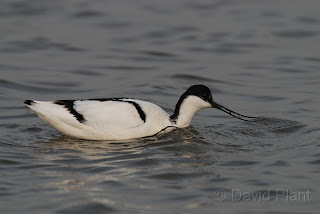 The avocet is generally found in watery habitats close to the coast including marshland, wetlands and swamp. 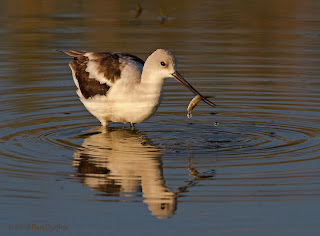 The exact habitat of the avocet is dependent on the species as the Pied avocet is found in Europe and Asia, the American avocet is found on the Pacific coast of North America, the Red-necked avocet in Australia and the Andean avocet is natively found nesting high up in the Andes Mountains. The avocet is a very distinctive looking bird due to the fact that the avocet has a long and thin, upturned beak which it sweeps from side to side in the water to catch food. 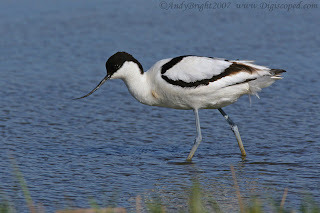 Like other waders the avocet also has long legs and webbed feet to aid it in hunting in the shallows. The avocet is a relatively large and forceful species of bird, often reported to intimidate other birds into leaving its spot. 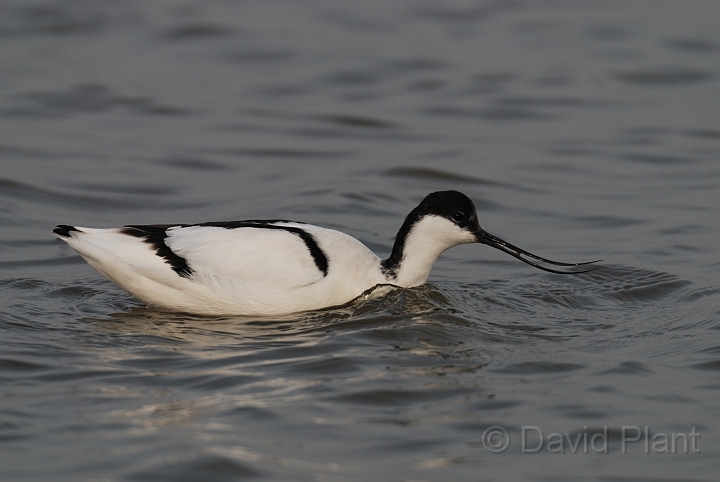 Avocets are relatively sociable birds and can often be seen flying, hunting, migrating and nesting in large flocks. 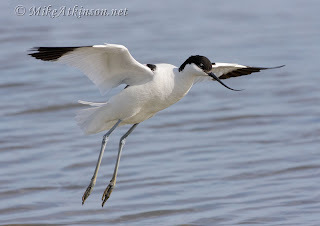 The avocet is a carnivorous animal and primarily feeds on insects and other small invertebrates in order to survive. Avocets also feed on small fish, crustaceans and even the odd amphibian when they are hunting in the water. 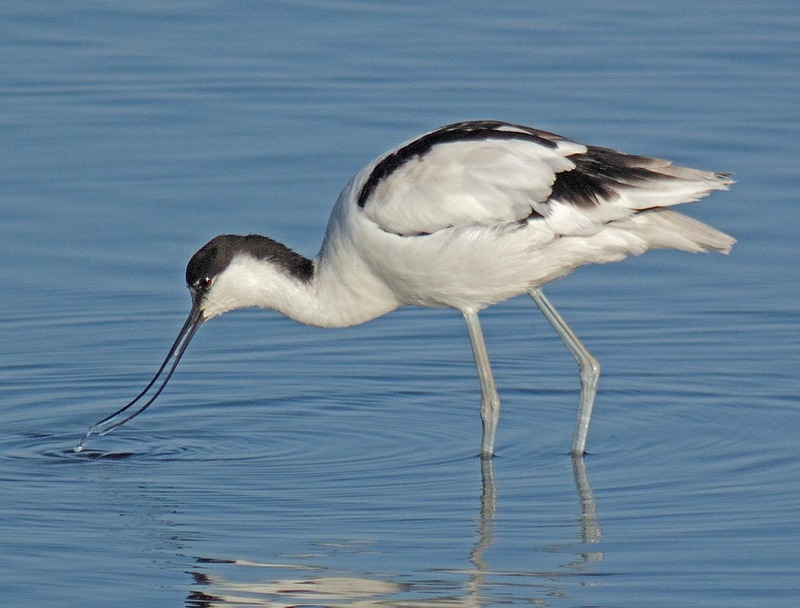 Due to their relatively large size, the avocet has a limited number of predators in it's natural environment with dogs, cats, stoats and weasels being the primary predators of the avocet chicks and eggs. Avocets are known to breed on open ground, generally close to the water. The female avocet lays around 4 eggs which are incubated by both parents until they hatch a month later. Avocet chicks are nursed by both parents until they fledge (fly away from the nest) at between 4 and 6 weeks old.